Bounce rate has been a well known term in online marketing industry professionals and marketers now often use it as a criteria to understand how much the audience is engaged with your content and website. 0.1 What You Will Learn In This Article about reducing bounce rate? 1 4 Big Factors in Bounce Rate. 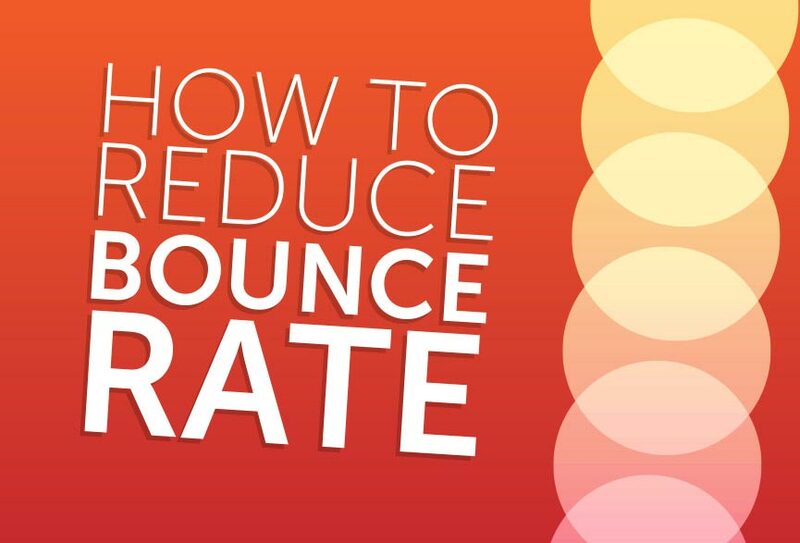 What You Will Learn In This Article about reducing bounce rate? A website bounce rate refers to the percentage of visitors who comes to a website and leave without further browsing or getting engaged on the site. It’s an important term in internet marketing to measure the effectiveness, quality, and standard of the website. The importance of reducing the bounce rate can’t be neglected in order to achieve the best results from websites and blogs. There are different readers engagement methods being used to engage and motivate the visitors to stay on the websites/blogs a little longer or at least leave the site without going off the hook. Are you a business owner who wants to utilize his/her website effectively? Are you a full-time blogger or online marketer? In either case, you need to know, analyze, and implement the strategies to reduce the website or blog’s bounce rate. Let me explain you why! Suppose you’re out for shopping and you enter to a garments store in your favorite mall, and you start looking for a dress, there are salesperson at every corner of the store, they are guiding on different dresses, they are recommending you to try any of them, in short, they are assisting you in order to make you comfortable around. What if they don’t talk to you? What if they remain silent while you’re in the store? Actually they won’t do that, because it’s their duty to talk to the customers, engage them, guide them, and convince them to buy. That’s how they are doing to do the justice with their jobs… that’s what they are supposed to do at work. Similarly, if you’re a business person, you’ve got your official website, you got to be ready to serve the customers by engaging and helping them to make a buying decision… You have to somehow engage them even if they get off the website, they should remain under your radar, and that is what we call ‘customer engagement’. 4 Big Factors in Bounce Rate. The website design plays a vital role in creating the traction on the website. If your web or blog design doesn’t impress the visitor, he/she might not stay longer on your site/blog. You can either use a professional web designer to get it done or buy a highly professional theme from a reputed seller and make necessary edits to the design for your site or blog. It refers to the methods that are being used to engage the audience. A popup sign up box to related post scroll box, a top bar to sidebar social media widget, a stylish expandable menu bar to a decently designed footer, there could be anything or a list of things that engage the site visitors to stay a little longer than usual. There is something every website owner or blog admin should analyze which is that what a reader or visitor gets when he/she stays on the site. What is the utility that an engaged visitor gets? Many blog owners and companies offer ebook downloads on the email list sign up. They explain that what this ebook is all about and why people need this, and then they offer it to download upon the signup. When there are some factors which can improve your visitors engagement on the site, then don’t forget about those factors that can hurt the cause. You have to keep a closer look on the areas which could possibly be hurting your site’s engagement. For instance, a low-quality web server results in slow website browsing which could increase your site’s bounce rate. So keeping eyes on all the areas could help you. So these were some important factors to remember. Once you start observing the user behaviour on your website, you will understand that how much does it affect the conversion rate and performance of the website. Do read my 10 Ways to Increase Website Conversion Rate, if you are still figuring out on how you can increase further. In order to start with the bounce rate analysis, you can simply use Google Analytics to find out the bounce rate of your website. 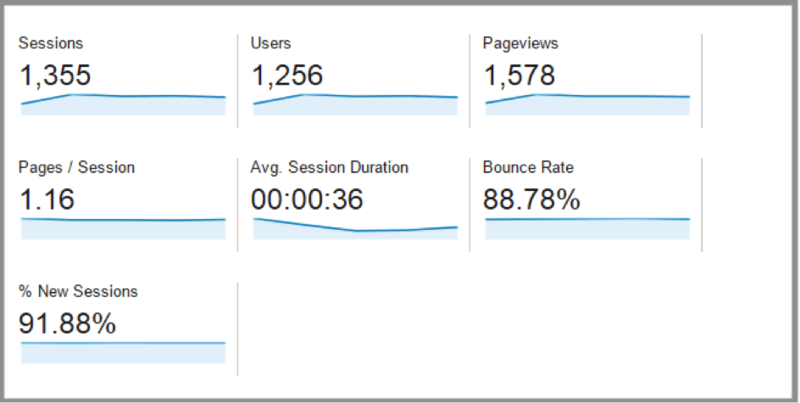 The Google Analytics is a widely used free tool from google to check and analyze a variety of website traffic analytics. In order to dig in further on your traffic analysis, you might also use Extreme Tracking or Open Tracker to find out much more about traffic. Whos Amung Us tool also tells about the real time visitors. Google also explains the bounce rate and reasons behind the increment of bounce rate. HubSpot shared an infographic that explains the bounce rate, and the post reveals the different site types and bounce rate benchmarks which could be acceptable in order to survive. Site’s loading speed is a major ranking factor in the search engines. If a website loads slower than a standard speed, then it might get cause some ranking issues. Almost all search engines prefer high-speed websites and they value and rank those sites higher in the index which load faster than the others. Tools like Pingdom and GTMetrix are the popular ones to test the site speed. The user-experience and user-behavior directly get affected when a website or blog has an inappropriate or unprofessional website look, not to mention the bad layout and structure. A professionally designed website or blog theme might not cause that problem. The design directly influences the user-behavior. When a new-style and colorful layout welcomes the website visitor, it attracts the visitor to stay a little longer than normal to explore it further which ultimately increases the conversion chances and reduces the bounce rate. Jesse Aaron, wrote an article on bounce rate and especially mentioned some methods to keep the visitors longer on your site and he specifically started all the points with the Web design and emphasized that a website design plays a vital role in reducing the bounce rate. A WordPress plugin named ‘Responsive Menu‘ can help you to create the responsive menus on your WordPress site or blog. The design format and content formation are two different areas to work on. The synergy in the design means a correlation of all design units that gives an acceptable and well-designed appearance. It doesn’t mean that it is just limited to the website design, color scheme, logo design, and overall theme of the site. If the site is not responsive which means it’s not opening properly on mobile devices than it could hurt your blog or site ranking as well as it may increase your website’s bounce rate. This article also focuses on the importance of responsiveness of the design in order to reduce the website’s bounce rate. Website tools like Responsive Test and Responsive Design Checker test your web design and tell you whether or not your web design is responsive. Don’t get confused with the ads and bounce rate. Normally banner are used to engage the audience or to monetize the website or blog. When it comes to the optimization, everything counts that affects the site loading, responding, and indexing. For instance, if you use images on your blog, you might be able to create those images using Canva tool, in that way, you will be able to create more professional images. Use Compressor.io tool to reduce the image size which will help you in the website optimization. EWWW Image Optimizer WordPress plugin can get this job done automatically on your WordPress site or blog. Use images and banners ads but the overuse of any utility/feature makes visitors annoyed. Ads bombardment whether in terms of banner ads or pop-ups, it always results in visitors slip from the site. Thin content is something which you should avoid. In the past, Google Panda and Penguin updates have targeted low-quality content, low-quality link-building strategies, and thin content. Thin content is something which is short in size and not intended to help the reader, instead, the purpose looks to intrigued the search engine and readers in order to get ranked higher in the search engine without delivering value to the readers. Adam Snape of Custard Online Marketing explained about the thin content and its impact on the search engine ranking in the article published on Custard’s blog. One of the tested and proven methods of decreasing the website or blog’s bounce rate is linking up the related content. Now readers could get confused here because normally linking up and related content are separately practiced strategies of readers engagement. In this strategy, you link up your relevant content to increase readers involvement and engagement on your web or blog pages. Not only will readers get engaged, but search bots will also stay longer on your web pages. 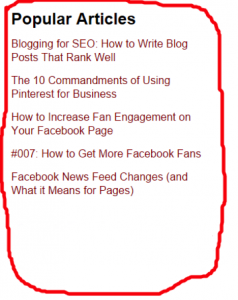 In this strategy, you use different scripts or plugins to display the related posts or pages in your content. Normally WordPress CMS has so many related post plugins that can do the job for you. A few related plugins are CP Related Posts, Yuzo – Related Posts, and Related Posts for WordPress. There are a number of email newsletter opt-in options which can be utilized. The purpose of using these opt-in features is gathering the email addresses of the readers in order to engage them. The success of email marketing campaign is highly relied on the readers engagement strategies which include opt-in options. Online Marketing experts adopt different strategies to collect email addresses of the audience that could be interested in the offers or who want to listen from them in the future. Bloggers and Marketers use ebooks and downloadable material as a reward to their subscribers and named such offering as an opt-in bribe. Subscribers sign up for free to download the stuff being offered and they join the list of the marketers. 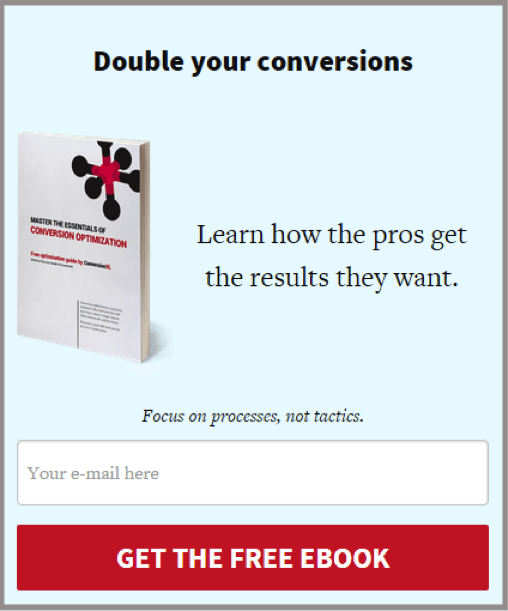 Companies use different formats of such opt-in bars and boxes. Top bars, sidebars, footers, and in-post opt-in box are the few of the popular options to use. 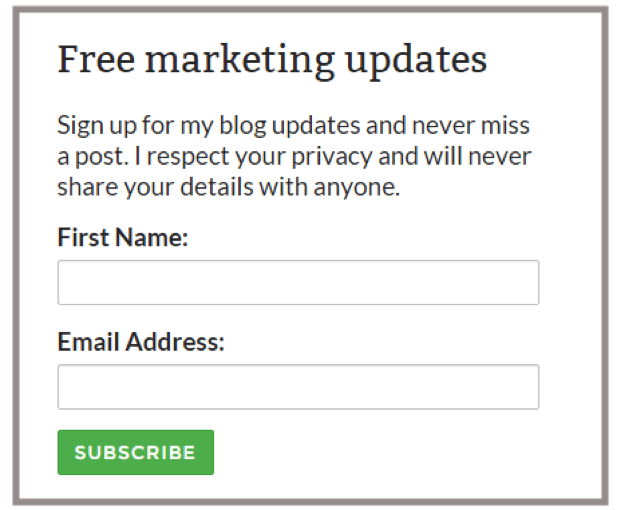 Sidebar opt-in boxes are quite necessary especially on the niche blogs as well as company blogs. 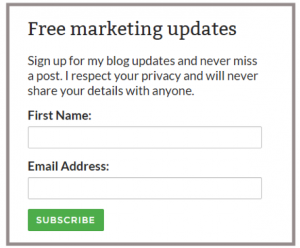 After creating helpful and useful content, the company should have a proper opt-in system installed on their blogs and websites to start accepting the subscribers. Take a look at the opt-in bribe which was discussed earlier in the article. Opt-in bribes are the email newsletter sign up bribe for subscribers to sign up and get their hands on the product being offered. Topbars are the opt-in bars which are displayed on the top of the website or blog. These opt-in bars are remained fixed on the top of the website or blog pages. Hellobar and ManyContacts are two famous companies which provide this facility. Images have become a vital part of the websites and blogs success. Whether you’re discussing SEO or Content publishing, images could be one of the key elements of the success of your site or blog. It has been observed that search engines give value to the content having lots of images, and more importantly images get the attention of the readers, which ultimately impacts on both SEO and Readers. When a search engine sends a relevant visitor on the image, it lands on the image of the blog post, he/she is likely to jump to the blog post to check the whole blog post (in most cases), if reader doesn’t return back and keep exploring the blog or site, it gives a positive signal to the search engines, whereas the image on the post helps the reader to explain the point, which is another benefit. Use Canva, Easel.ly, or Visme tools to create images for your websites and blogs. The number of comments always creates a psychological hook between the blog and the new visitors. 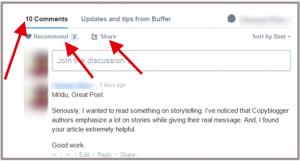 When a new visitor lands on the blog post having lots of comments underneath, it shows that content is authoritative, well-written, and popular, which is why so many readers have already read this and left their comments. Many readers start reading the article after seeing a list of comments. Many experts read the comments first before start reading the article. It depends on everyone’s personal strategy. The point is how to engage the readers through comments to reducing the bounce rate. Using commenting tools like Disqus and Commentluv could be a vital step to reduce the bounce rate. Disqus has its own following and profiling system which has turned out to be a mini social network, whereas Commentluv offers a unique proposition of linking commenters recently posted an article on his/her blog under the comment. The absence of social media buttons on your website and blog could be one of the biggest mistakes which you shouldn’t be doing. Social sharing doesn’t only increase the viewership, but also extends the reach of your blog and website. In the bid to reduce the bounce rate of the website, a blog or website owner needs to engage more and more people, and social media won’t be a bad option to find the new audience, create an entertaining, helpful, and newsworthy content to share with them. Addthis, Simple Share Buttons, and Flare are the popular sharing media sharing plugins to use on the websites and blogs. Last but not the least, a popular posts sidebar plugin would be worth it. 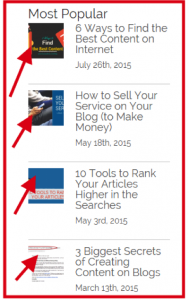 Don’t miss out a powerful, easy-to-install, and engaging popular posts plugin. Make sure that your popular posts plugin displays the featured images of the posts because it makes a lot of difference when featured images are being displayed along with the posts. This seems pretty much clear that the sidebar popular post widget with featured images is likely to perform well on the blogs as compared to the widget without featured images. The reason is quite obvious, images attract the readers and the readers will likely to click on them. Have you heard that a picture is worth a thousand words? Stylish Popular Posts, Popular Posts Tabbed Widget for Jetpack, and Popular Posts by BestWebSoft are the free WordPress plugins that will help you to display the popular posts with featured images on your sidebar. The purpose of this detailed and in-depth post was to describe the importance of bounce rate and give you some solutions that could help you in reducing the website’s bounce rate. When you start testing things out on your website or blog, always remember that results don’t come out quickly, the patience will always be the key to finding out the acceptable results. You’ll ultimately decrease your website’s bounce rate if you start understanding your audience and applying different engagement strategies that I tried to explain. Obviously this is something you need to take care, especially if you are heavily investing in generating visitors. Mostly companies keep on experimenting even once they found what is working to stay updated with the market. So Did I miss something? How was the article? I would love to see if you share something with my readers. Brilliant article! Loads of valuable info and links to help further. This was detailed and in depth . Bounce rate is headache for bloggers specially newbies . Thanks for this article . Your’s welcome! Glad you find it useful. You are the best, Sir Ali Raza. Thank you Jekesh, your words mean a lot to me.